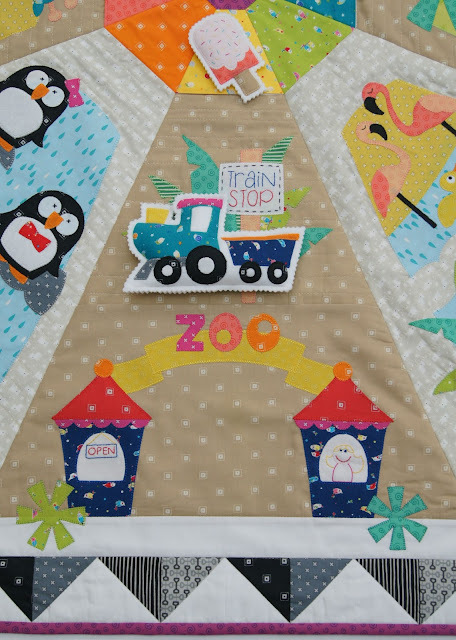 Have you seen the first issue of the Homespun "Going to the Zoo" Block of the Month (BOM) designed by myself (Jemima Flendt) and Claire Turpin. Each Month a new Block will be featured in Homespun so that you can work through it at your own pace. 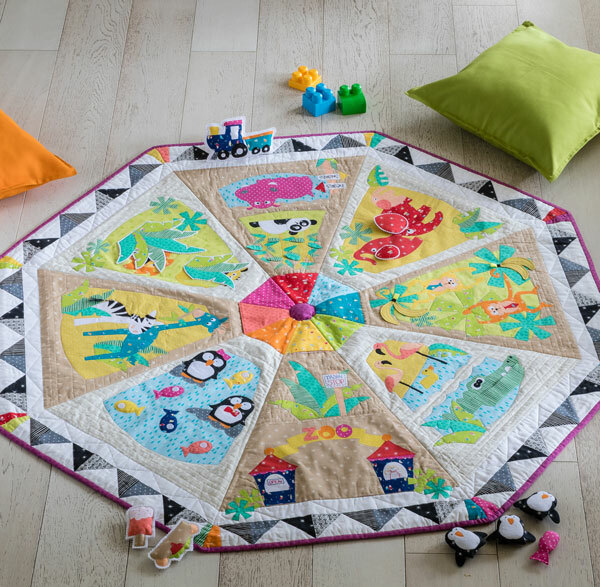 You can grab your copy of Homespun in Australia through your favourite Craft/Quilt Store, Newsagents and Target Stores. Digitally it is available to download on Zinio, The Apple Newsstand or Google Play if you are outside Australia. This design was great fun to create and make and we can't wait to see these being made over the coming year. 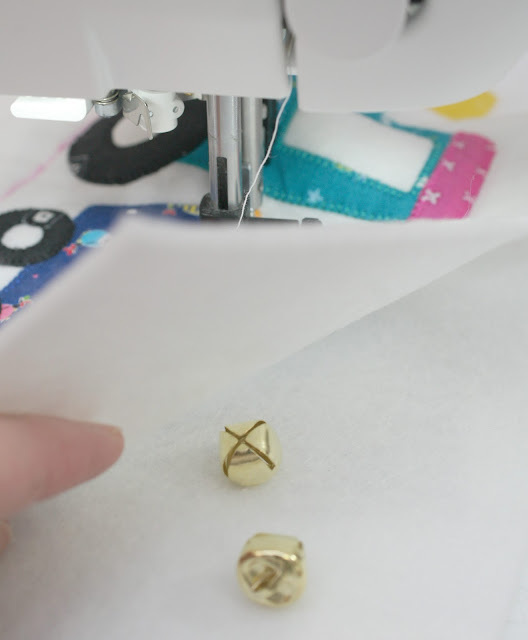 We are planning on putting together some extra helpful information to help you with some of the pieces of the Blocks like tips, tricks or like below a Tutorial just so you know exactly how we made different elements of the Playmat/Quilt. Month 1 - Entrance and Train Block. 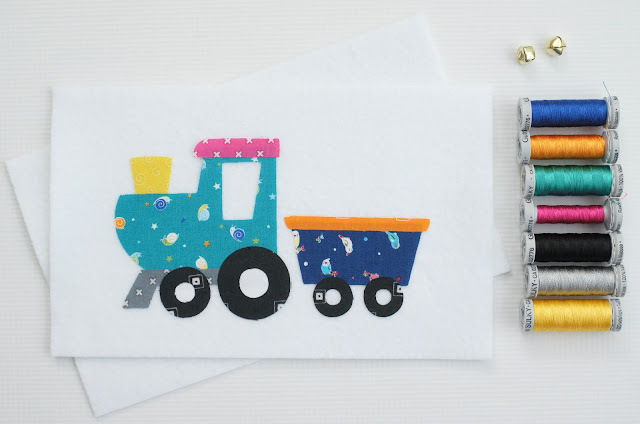 Step 1 - Gather the Supplies needed to make your Train (as stated in Month 1). 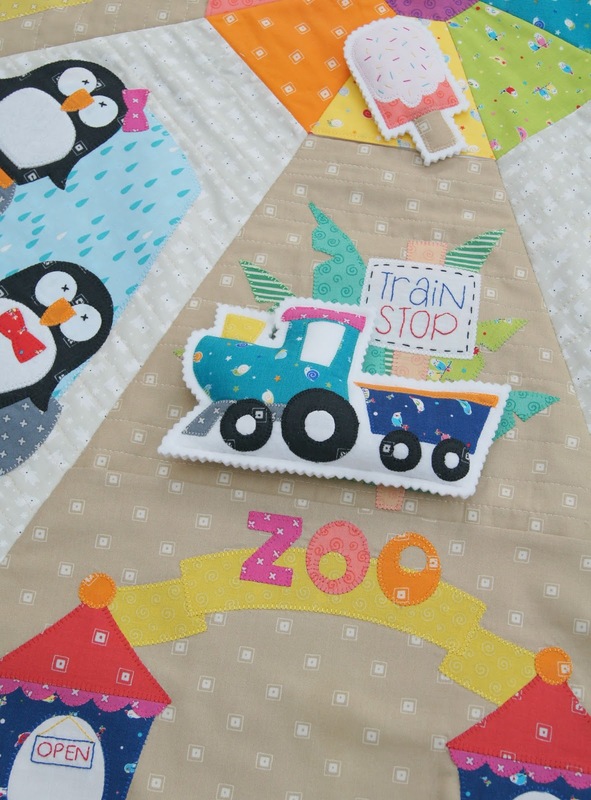 Following the steps in the Magazine, prepare your Appliqué Train and Press it to your felt. Step 2 - Appliqué your Train using your chosen method - I have used a small Blanket Stitch on the machine in Matching Guitermann Sulky Thread to give it a lovely shine. 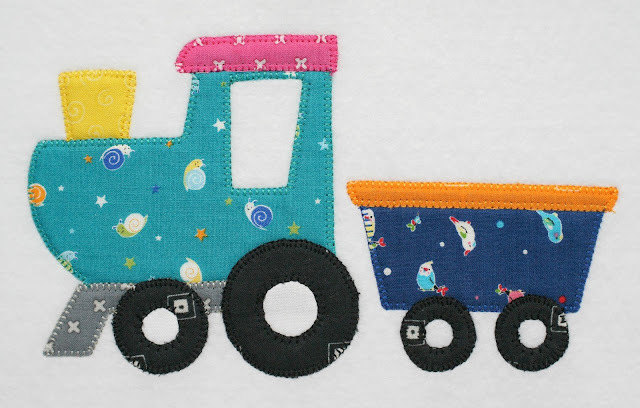 Step 3 - Take the finished Appliquéd Train and using a fabric erasable marker, mark a straight line under the train (for sewing). 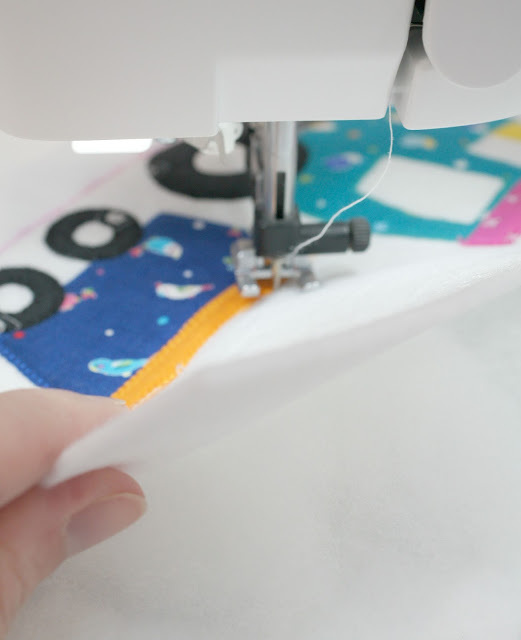 Place this piece on top of the second/backing rectangle of felt. Pin around your Train. 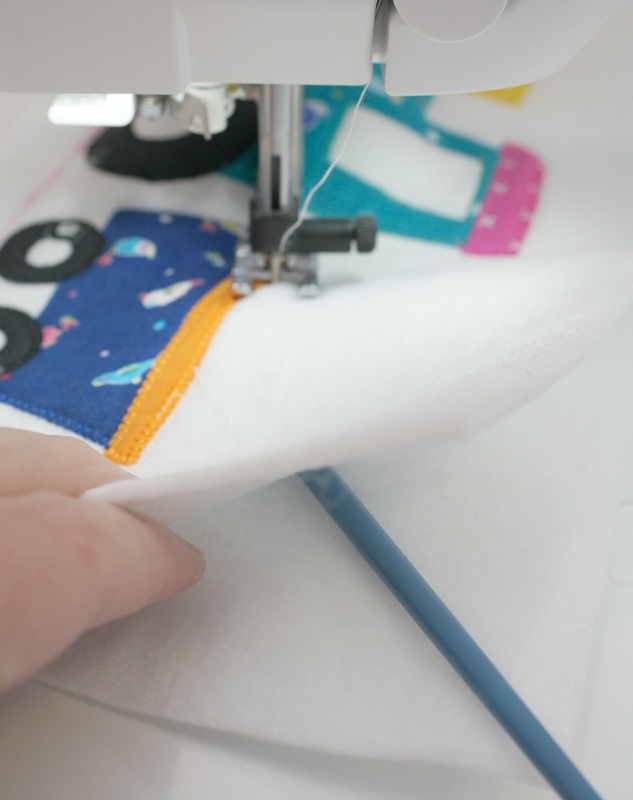 Step 4 - Machine sew around the outside of the train. 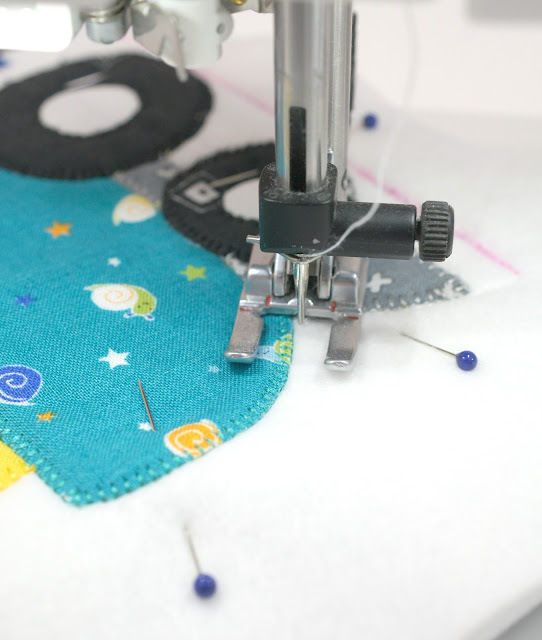 I used an Open Toe foot so that I could see where I was stitching better. 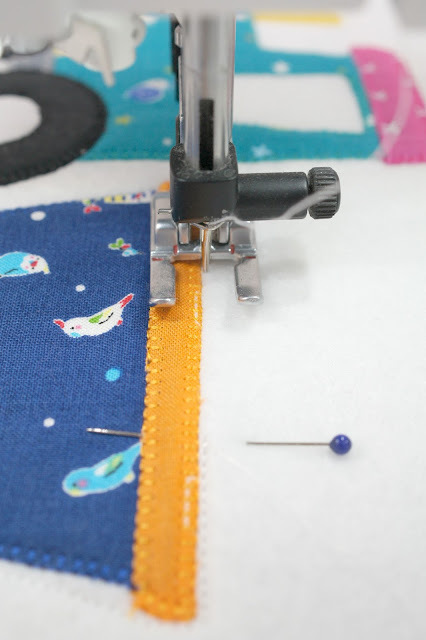 Step 5 - Stop about 2in from where you started (the blue pin) and then put the "Needle Down" into the felt. Step 6 - Lift up the Presser Foot on your machine so that the needle is still in position. 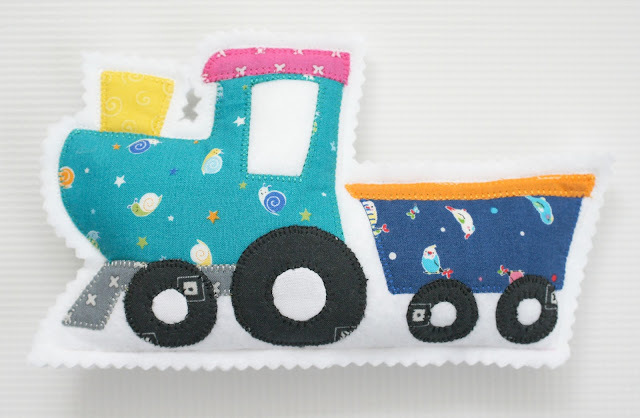 Take your toy filling and carefully stuff your Train (while it is still in the machine). You can use a blunt ended tool to help "poke" the toy filling to the ends of the train to get a nice even fill. 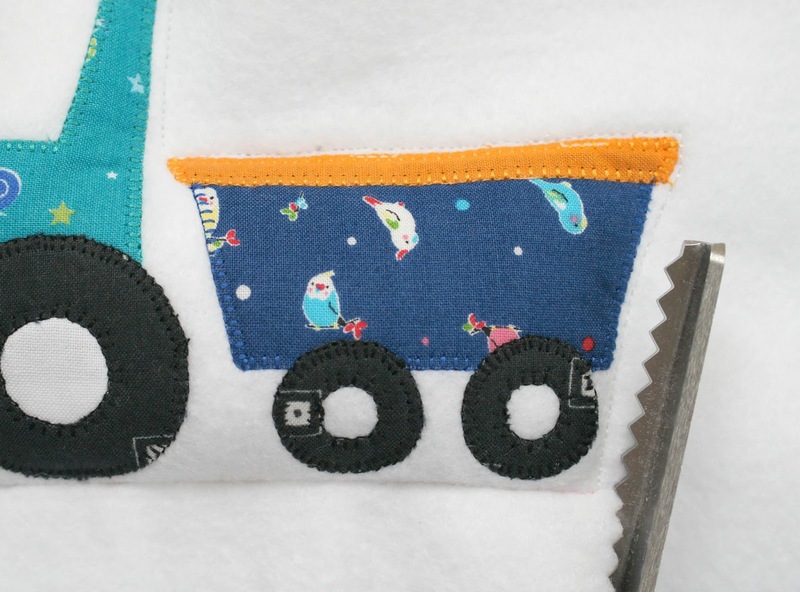 Step 7 - When you have about half stuffed your train - place the Jingle Bells inside as well and continue to stuff until you are happy with the firmness. 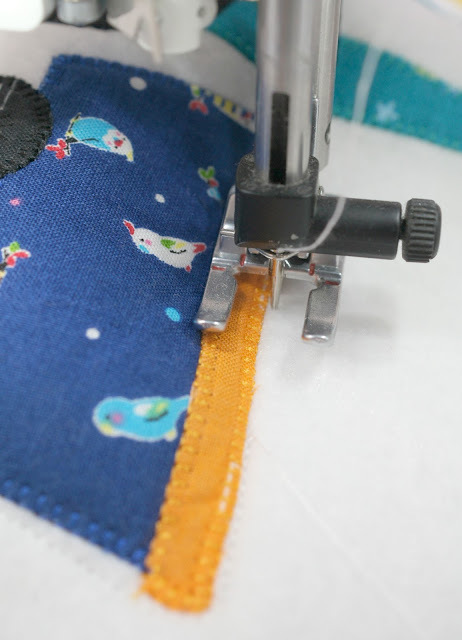 Step 8 - Place the Presser Foot back down and then continue to sew to the end (back where you started) - remembering to back stitch your finished stitches. 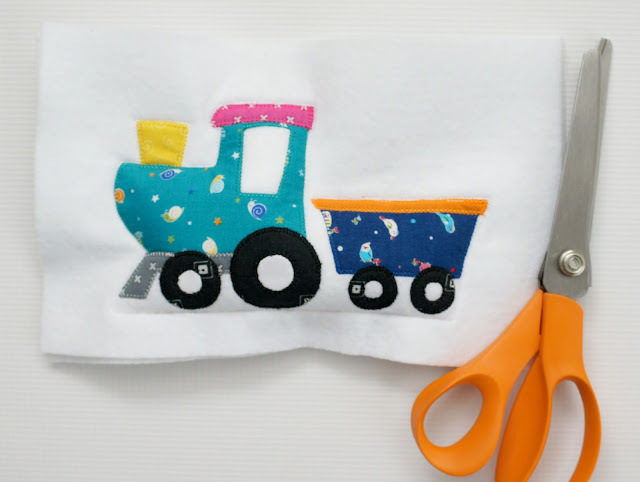 Step 9 - Take your Pinking Shears and carefully trim around the shape of your train. 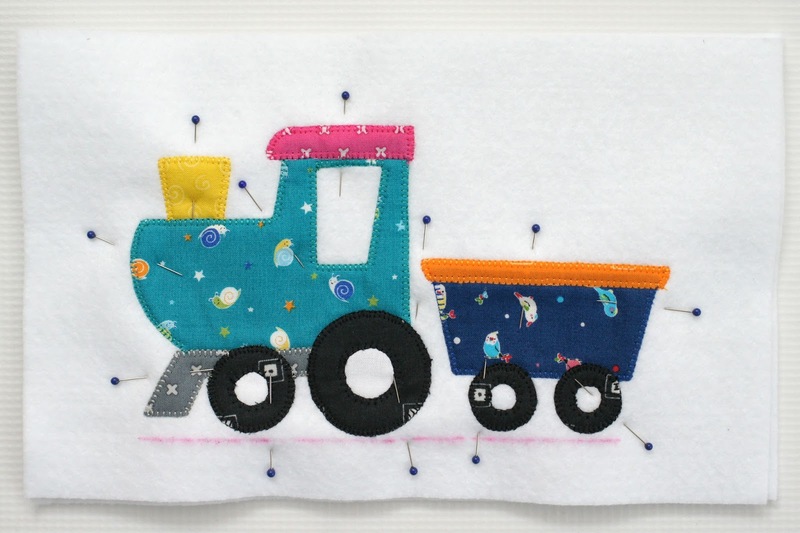 Your completed Felt Softie Train should look like this. We can't wait to see the "Going to the Zoo" BOM Play mats that you create so please - send us your pictures, tag @tiedwitharibbon and @claireturpindesign in your BOM and #homespunzoobom #homespunbom2017 in your Instagram posts as we are really excited to see these being made.